West Bengal Health Recruitment Board (WBHRB) Recruitment 2017-2018 For 6562 Staff Nurse Posts. WBHRB Released Job Openings Notification 2017 2018.All Interested and Eligible Candidates can Download Application Through Official website. 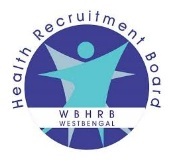 Latest West Bengal Health Recruitment Board (WBHRB) Careers, Placement, Openings, Off Campus Vacancies, Interview dates are updated regularly. Eligible Candidates can follow Below Recruitment details. To get more Freshers Government Opening,Placement Paper and Graduate Vacancies Visit www.freshers-job.com. 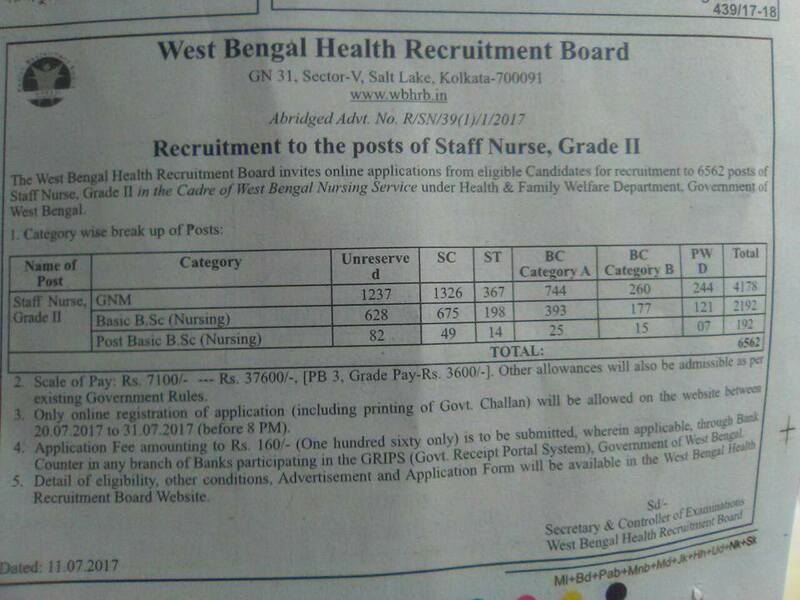 West Bengal Health Recruitment Board (WBHRB) is responsible for selecting and recommending candidates for direct recruitment to posts permanent or temporary for which the appointing authority is the Government. WBHRB is now going to recruit some qualified candidate through examination.The Candidates from 2017,2016,2015 Batch who have completed General Nursing and Midwifery (GNM), B.Sc. Nursing Degree from any recognized Institute are Eligible this Recruitment 2017- 2018. As per the WBHRB recruitment notification 2017-18, candidates should have minimum education qualification of General Nursing and Midwifery (GNM), B.Sc. Nursing Degree or equivalent from a recognized Institute are Eligible to apply WBHRB Recruitment 2017. Candidate should complete his / her General Nursing and Midwifery (GNM), B.Sc. Nursing Degree in relevant subjects from a recognized University / Institute. Minimum 20 Years and Maximum 35 Years as on 01.01.2017. Accordingly the application must have been born not earlier than 01.01.1982 and not later than 02.01.1996, age relaxation details. Age relaxation is applicable as per Government of India rules applicable for different categories (SC/ST/OBC/PwD) visit WBHRB official Notification 2017 for more reference. Other Candidates (ST/SC/Ex-s) have to pay Application Fee - Nil. Check fee details in official notification of WBHRB for Staff Nurse academic qualification, application fee, selection procedure, exam pattern are present in official Notice. Selected and Eligible Candidates for this WBHRB Notification posts will get a Rs up to @ Stipend Rs. 7100 - 37600 /- month to month pay scale as per Government norms with Rs. 3600/-amount of grand pay.